Fatima is an ambitious 21-year-old master's student who who fled Syria in 2012 and came to Lebanon. 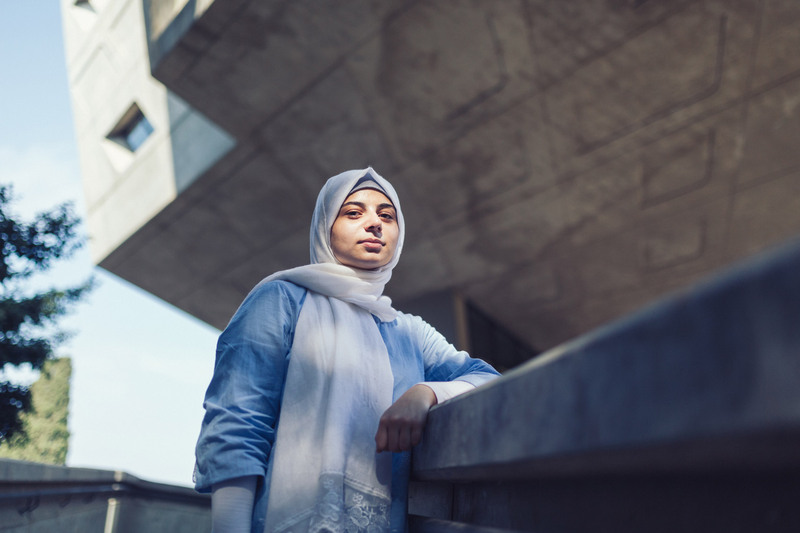 She struggled with the different education system, but worked hard until she passed 12th grade, received the DAFI scholarship and finished her bachelor's degree in Physics. She is now a master's student in Astrophysics at the American University of Beirut and a graduate assistant. "My journey will not stop here. I will keep on pushing myself to help my community and myself in whichever way I can. I am very ambitious and one of my goals is to win the Nobel Prize in Physics one day, or to work for NASA! I believe in something: being a refugee does not mean that you cannot have dreams. You need to dream big in order to achieve big. The future is waiting for us.” Beirut, October 2018.